Alzheimer’s and dementia are two of the most dreaded degenerative diseases that can affect people as they grow older. Patients with these diseases often have memory lapses which can be become severe as they age. For those who want to prevent mental or cognitive decline from happening especially those who have a family history of any of these mental disorders, it is important that you take stock of your current diet and make changes as early as possible. What should go in your diet to prevent cognitive diseases like dementia? Here are some that are worth taking note of. Berries like blueberries, cherries, and even strawberries should be added to your diet as they contain high amounts of anthocyanin which prevent degenerative diseases like dementia and Alzheimer’s. Aside from this, berries also have vitamins C, E, antioxidants, and they are also known to contain anti-inflammatory properties which are essential for better mental health. 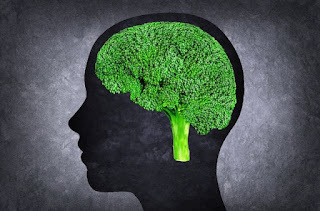 This vegetable has two important nutrients that our brain needs to function at its best. These are choline, which is known to boost one’s memory, and vitamin K for better cognitive abilities. Those who have eaten large amounts of broccoli have been found to be better in memory tests compared to others. No diet will be complete without fish in it as they are one of the best sources of omega-3 fatty acids that are found to be efficient in keeping your mind sharp. If you are not fond of eating fish, flaxseeds can be used instead or take a supplement of omega-3s to meet your needs. Eating curry at least twice a week has been found to be effective in keeping Alzheimer’s at bay as the presence of curcumin found in the turmeric used in the dish prevents the spread of plaque in the brain. There are many dishes that use this spice so you might want to add a hint of warmth to your dish using turmeric or curry. Beans and legumes are great additions to one’s diet as they are high in iron, potassium, magnesium, and folate content which are needed for your neurons and other bodily functions. They also have choline which is the one responsible for giving acetylcholine, a neuro transmitter, the boost it needs for better brain function. Add more beans and legumes in your diet to give your mental health the boost it needs to fight off degenerative diseases. If you are not fond of drinking milk, you might want to think twice about it as research showed that it can help prevent Alzheimer’s and dementia from setting in. Researchers from University of Kansas Medical Center discovered a link between natural production of glutathione in older people and milk. Experts believe that glutathione can help slow down oxidative stress that can damage the brain. Try drinking 3 glasses of milk every day to ensure that you get the necessary nutrients found in this drink to prevent damage to your mental health.